The two lectures – an open talk and a seminar – are given by Margherita d’Ayala Valva for the Master course in Art History, University of Udine. 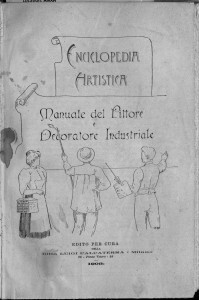 The first talk, dedicated to presenting the results of researches on artists’ academic training on painting techniques and their self-taught strategies through treatises, manuals, and catalogues of industrial products, their reading practices their modes of access: http://qui.uniud.it/notizieEventi/cultura/storia-dellarte-le-conferenze-di-febbraio-2. The seminar of the following day deals with material sources, presenting methodological approaches, research tools and some case studies (the Muzii colours) dealt with by the Futurahma group.